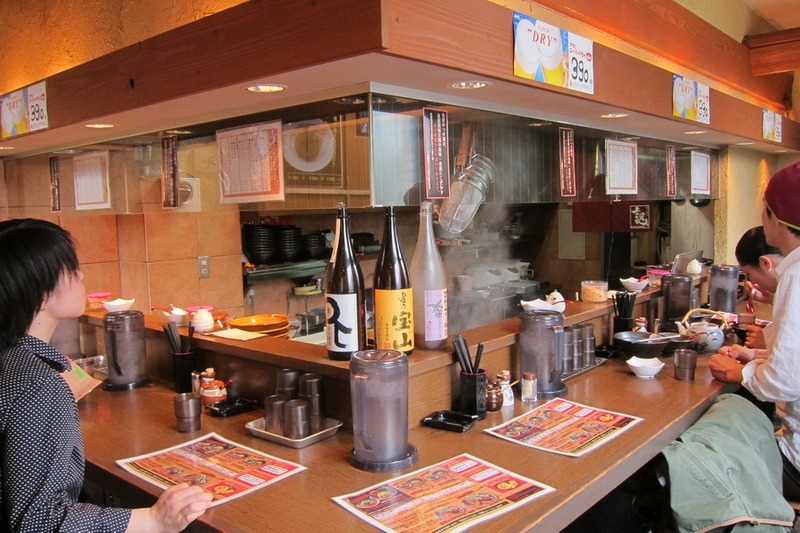 Mr. Selfish and I certainly enjoyed our fair share of noodles while in Kyoto. 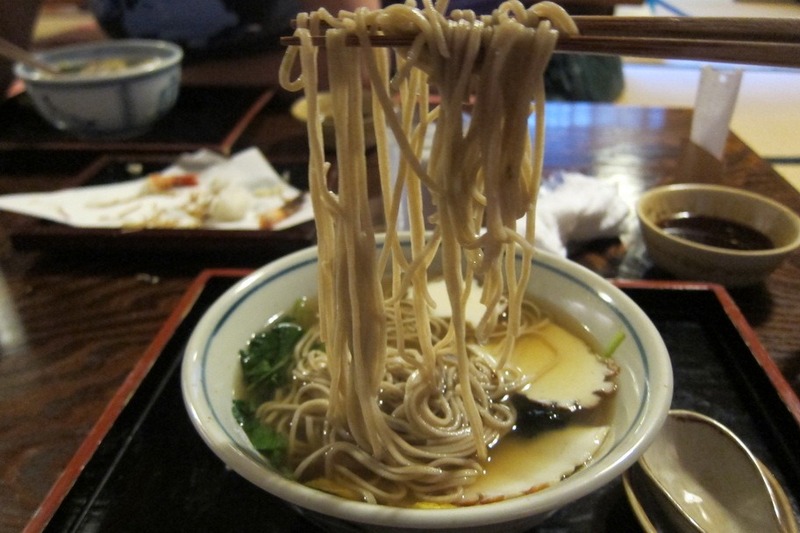 We loved the variety of udon (thick wheat flour noodle), soba (thin buckwheat noodle), and ramen (thin wheat noodle) shops all around the city. 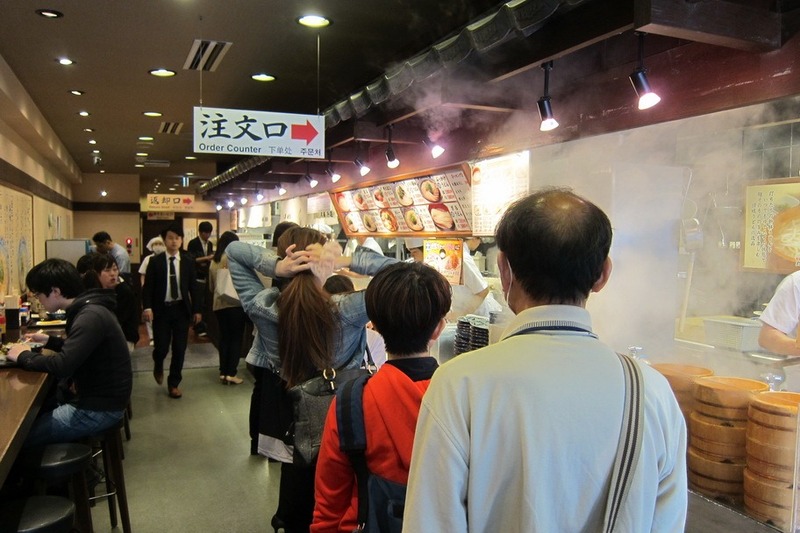 In particular, we enjoyed the following three noodle shops. 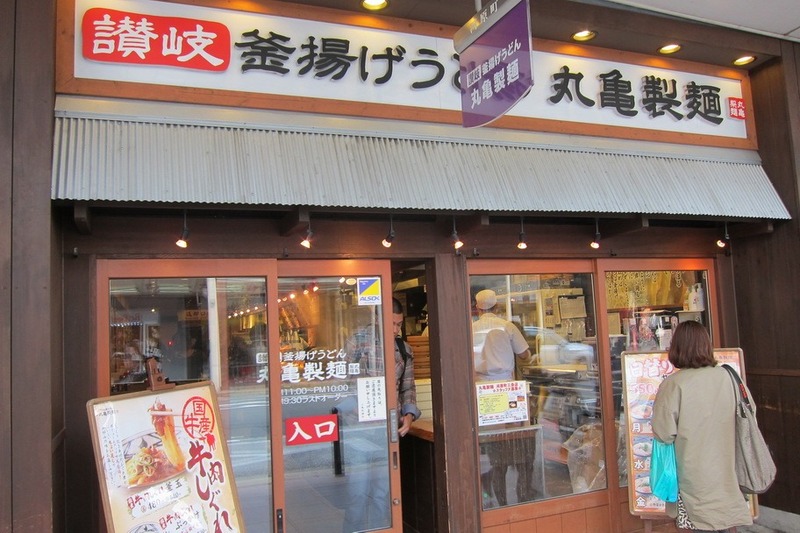 First, we loved the customizable udon at Marugame Udon (located at Kyoto-shi, Nakagyo-ku, Kawaramachi-dori, Sanjo-sagaru, Daikoku-cho 54-1). 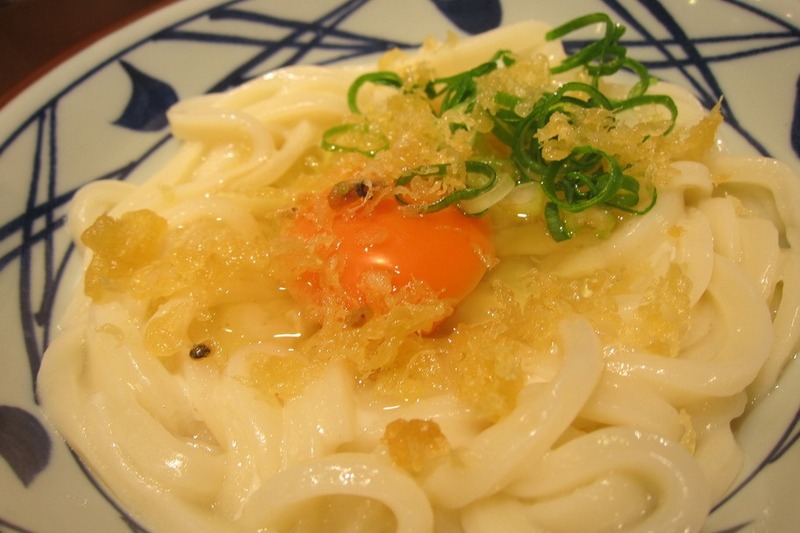 The first step is to choose the type of udon you want from ten different types. Mr. Selfish and I tried three types: (1) udon with a raw egg and a dipping sauce, (2) udon with a curry broth, and (3) udon with broth. They were all delicious and made fresh on the premises. 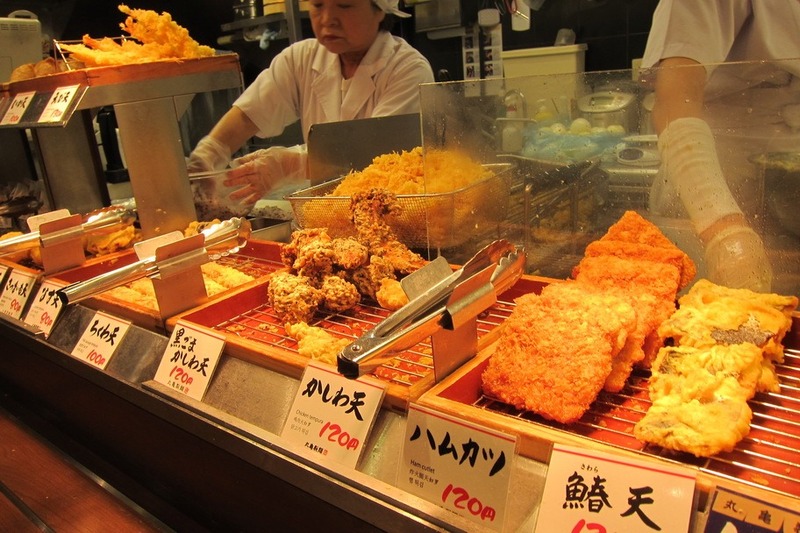 The second step is to pick your deep fried deliciousness accompaniment. Mr. Selfish and I enjoyed the ham, shrimp, and veggies. 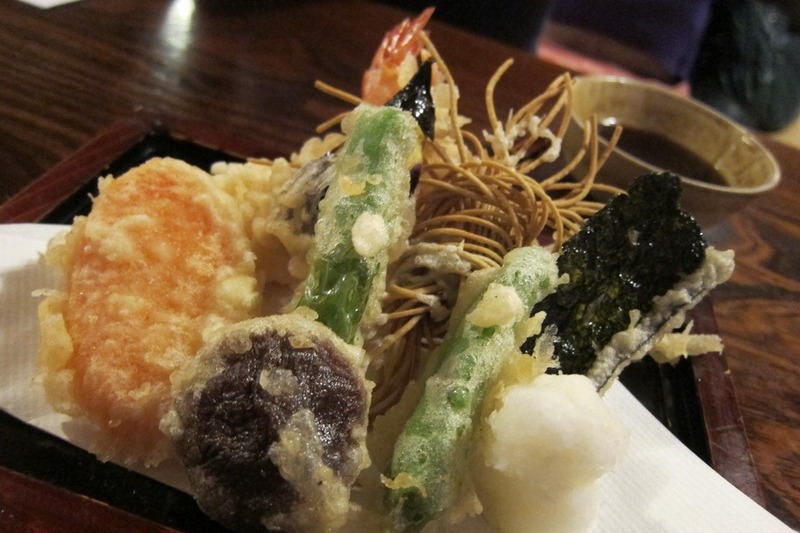 The third step is to add condiments to your udon. 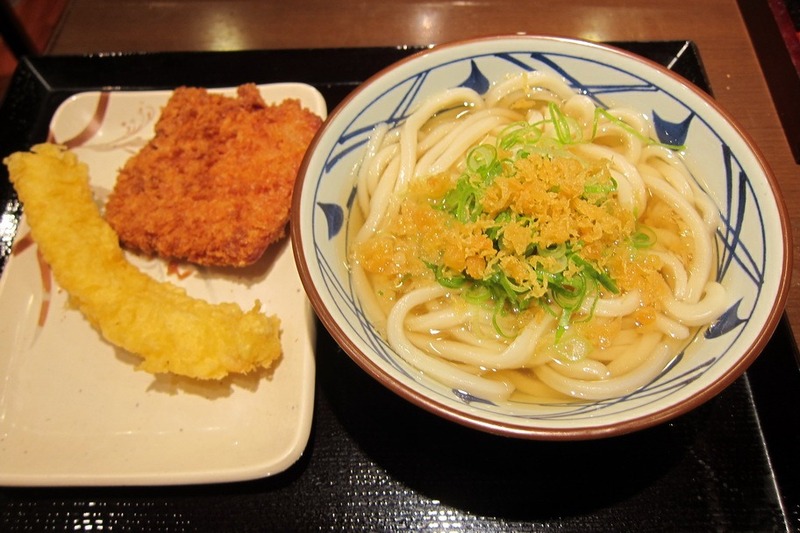 The crispy fried bits and green onions gave the udon an extra level of tastiness. 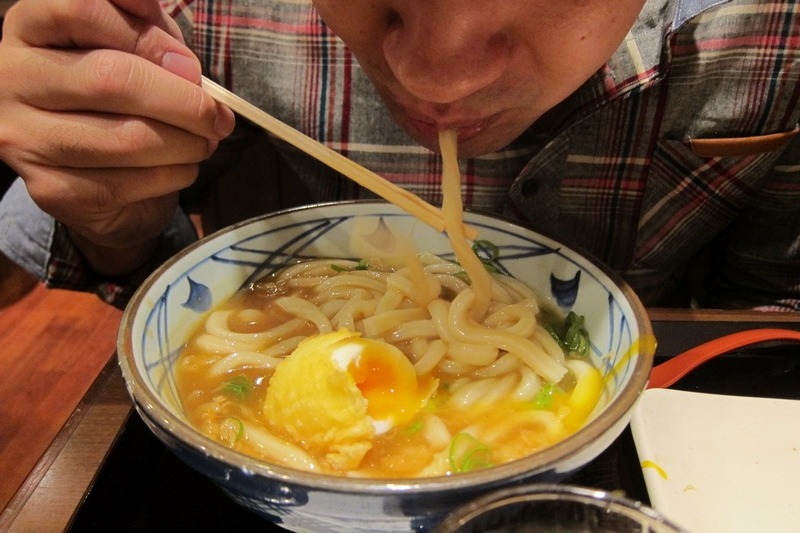 The final step is, of course, to slurp your udon. 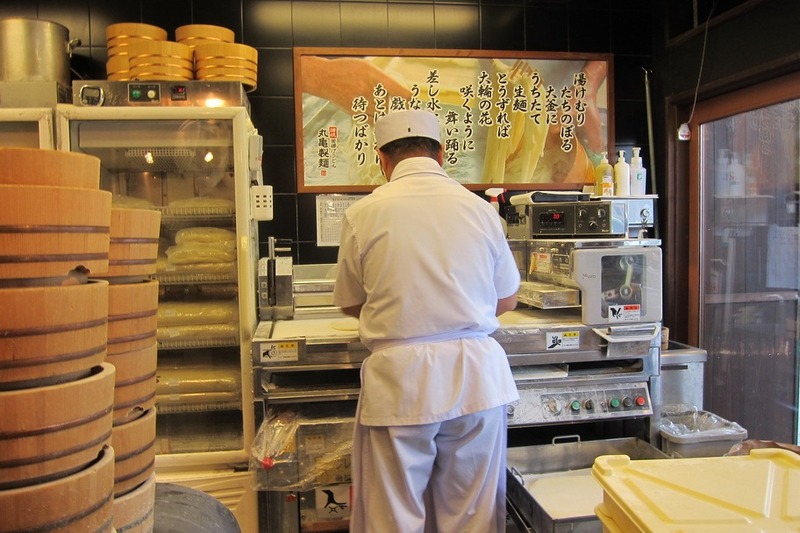 The udon at Marugame Udon was fresh, cheap, and delicious! 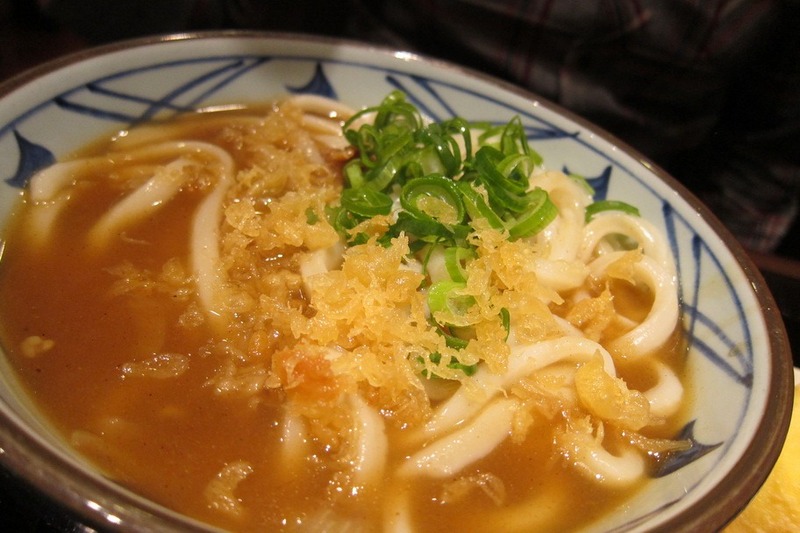 In fact, a simple bowl of udon with broth only costs 280 yen. 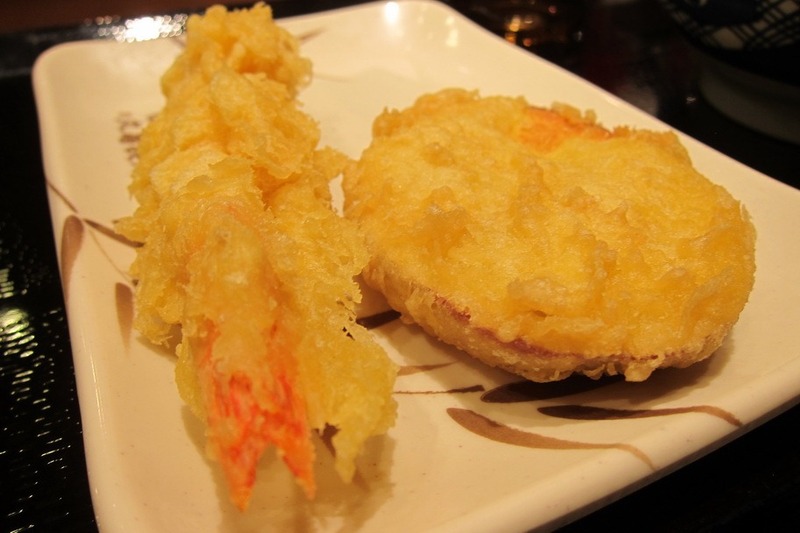 I highly recommend it for a quick meal in Kyoto or Japan (as it is a national chain). 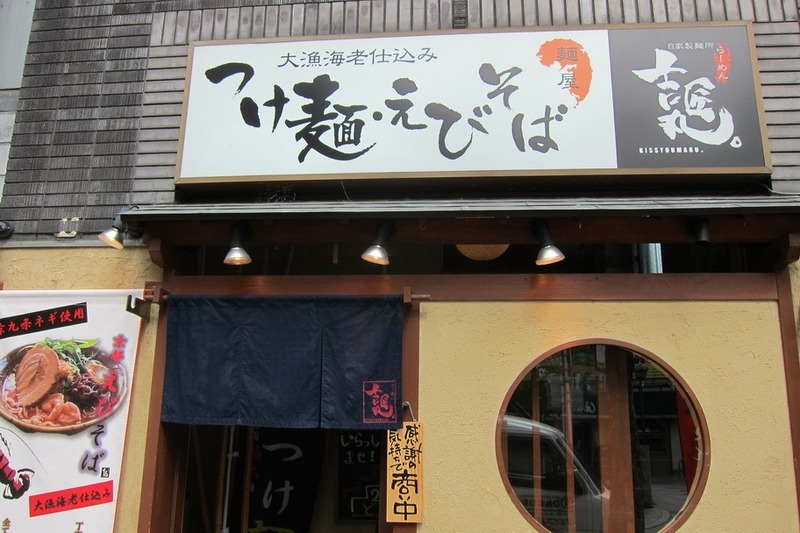 KyotoSakyo Ward) for its famous soba. 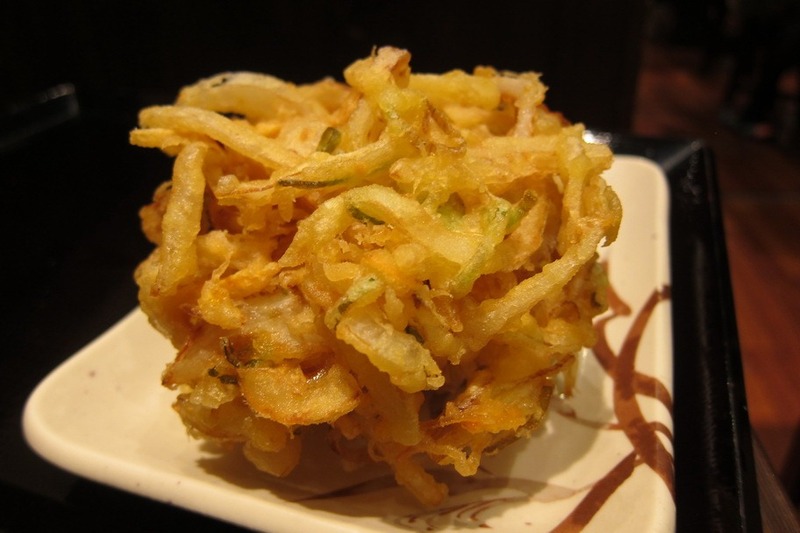 As an appetizer, we ordered the tempura veggies and soba. 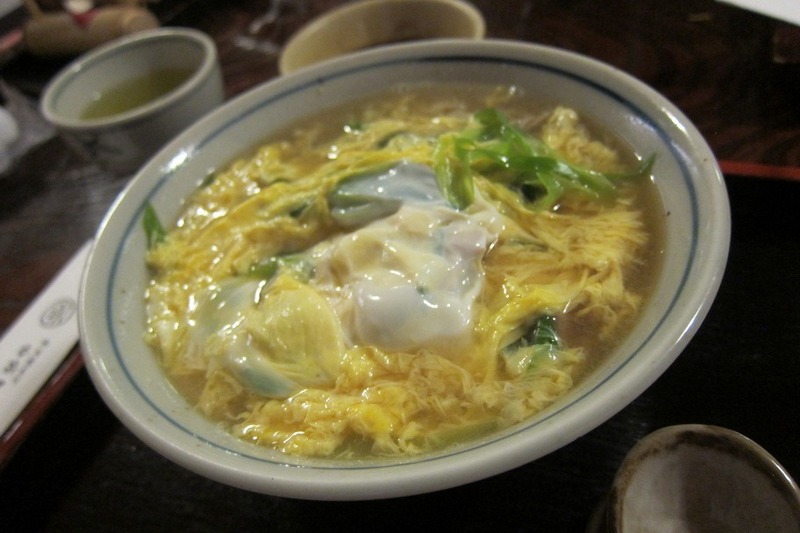 Then, we sampled three different types of kake soba – one with mushroom and yuzu, another with chicken and leeks, and the third with scrambled egg. 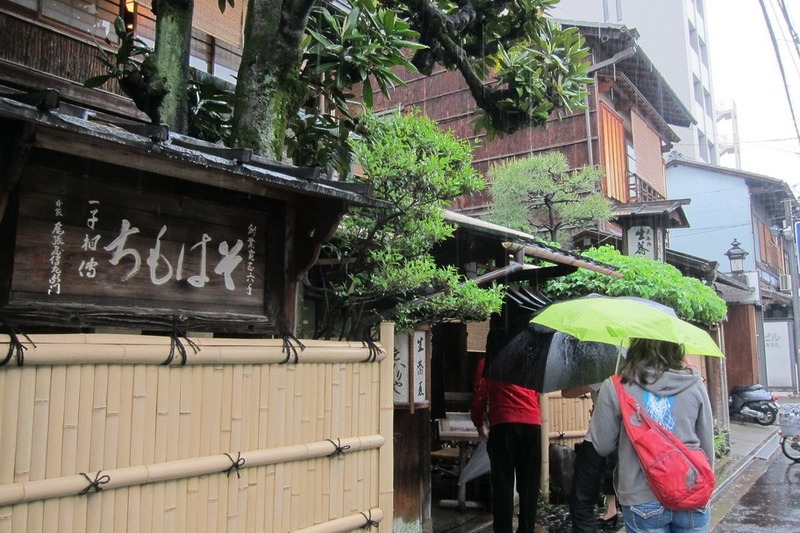 The soba, which is also made fresh on the premises, was perfect for the rainy weather we were having that day. 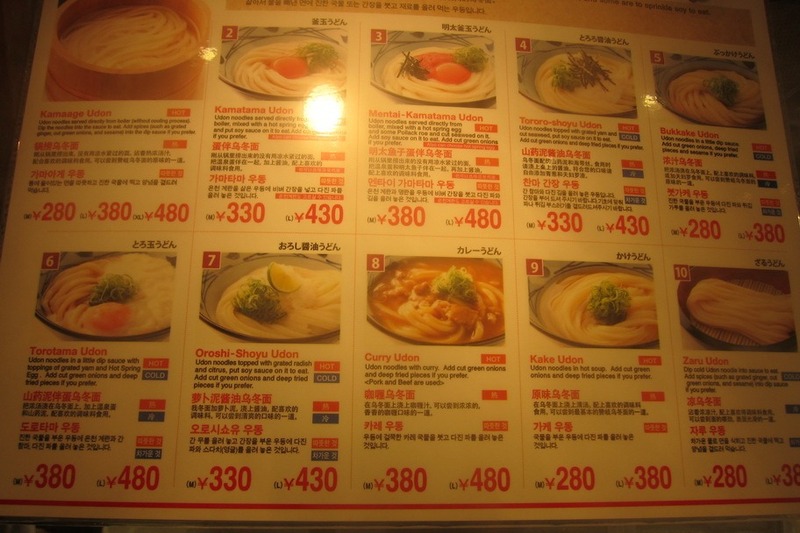 However, the soba was about 1,000 yen each so it’s a bit more expensive than the udon from Marugame Udon. 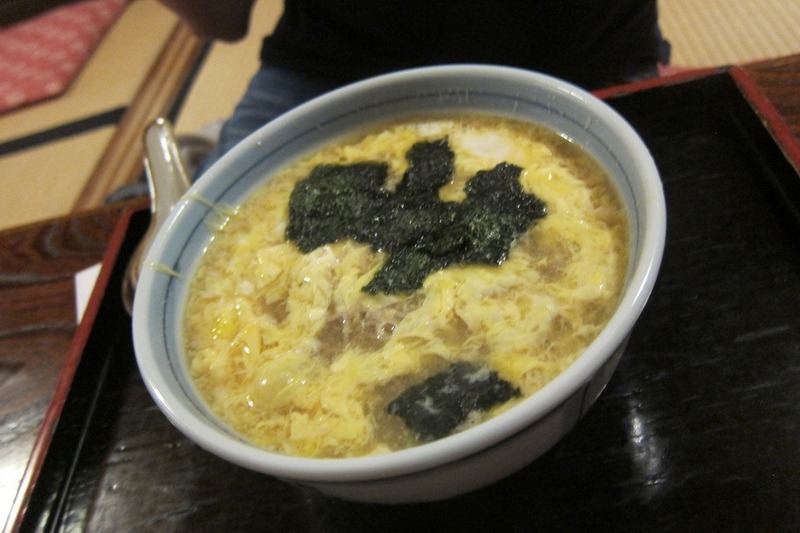 Finally, we enjoyed ramen at Kissyoumaru, which is a little ramen shop near the Kamo River. 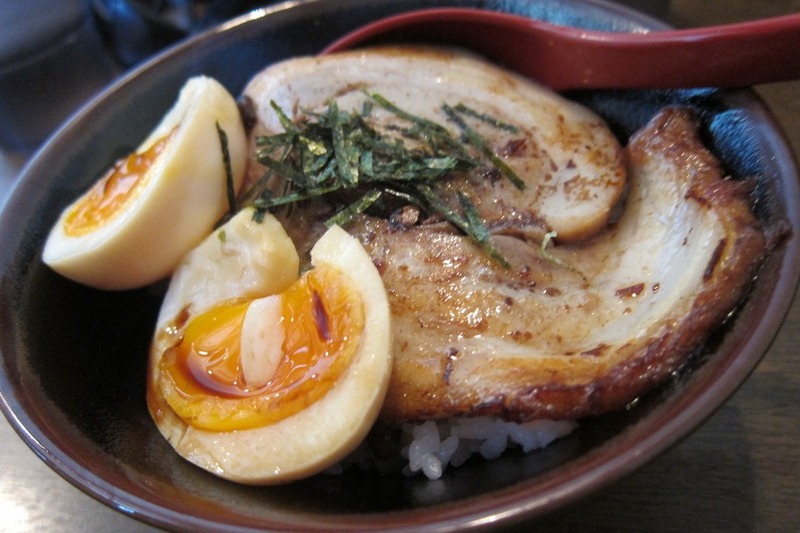 We also ordered rice and pork as a side dish. 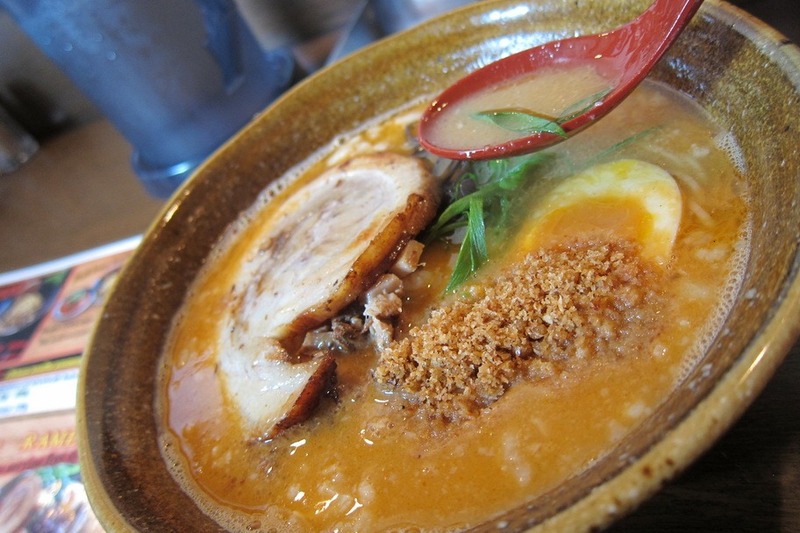 Although the ramen was a little too shrimpy for my palate, I enjoyed the rice and pork tremendously. 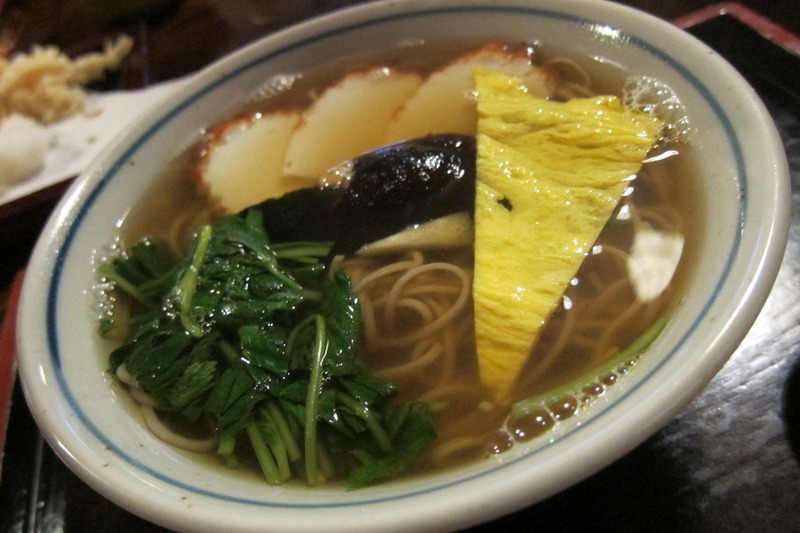 Mr. Selfish and I tremendously enjoyed slurping all of these noodles while in Kyoto. It’s actually not considered rude to do so. 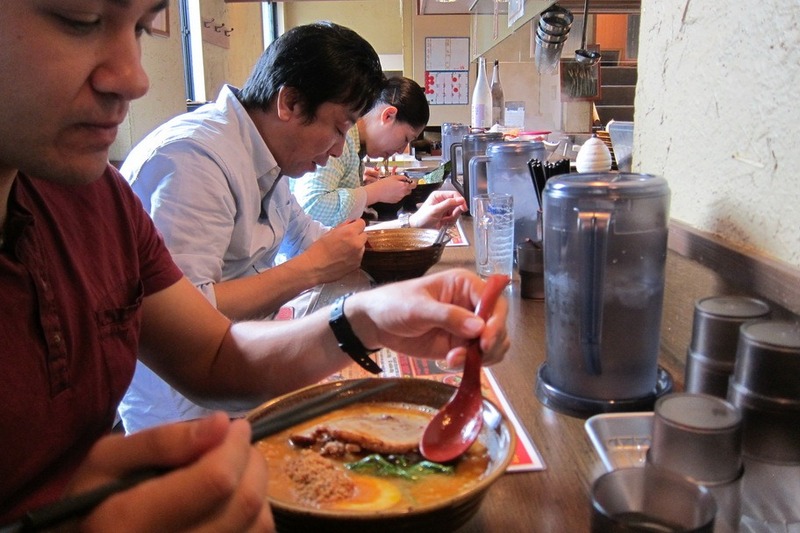 Rather, in Japanese society, slurping is actually evidence of enjoying a meal.